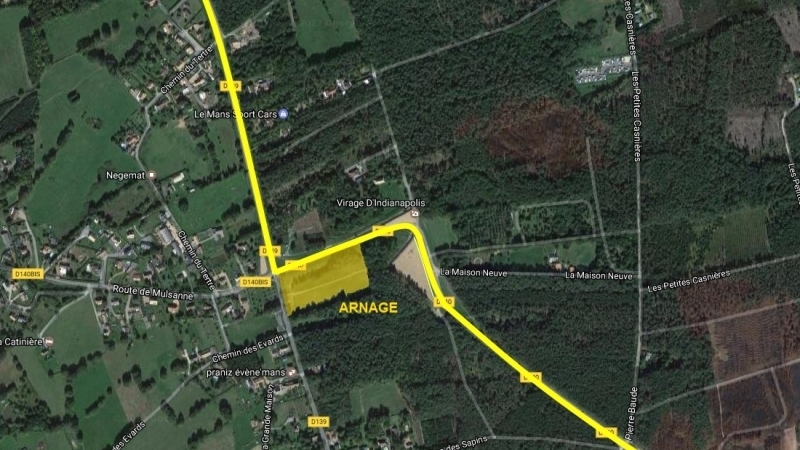 Arnage camp is one of the A.C.O. 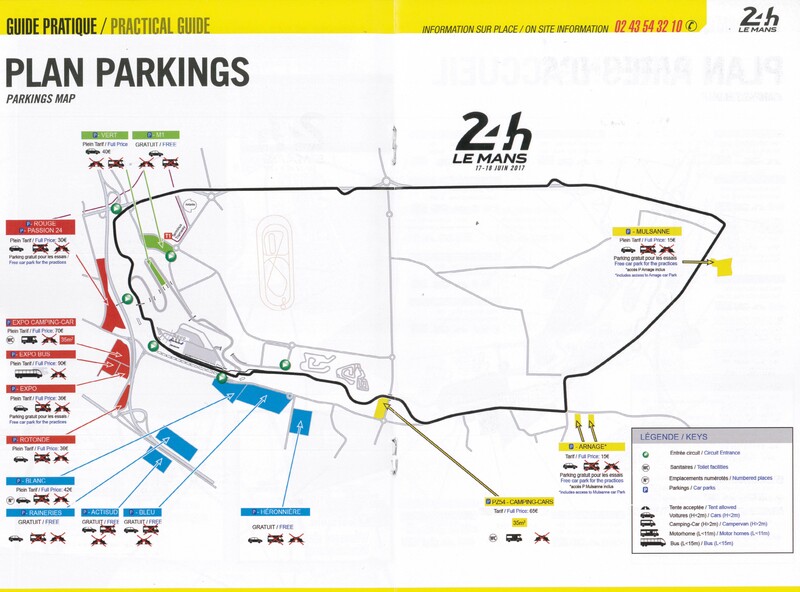 campsites that is remote from the main race village. 10 minutes on a bike should get you to the vilage of Arnage. 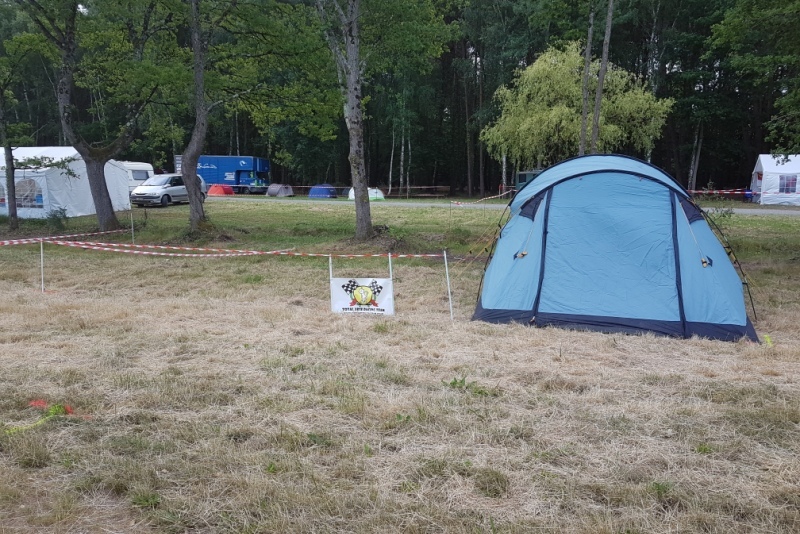 The site is siutated in the area between the Indianapolis and Arnage corners complex, due to the layout of the area, which was rebuilt in 2016 there is no view of the track from you tent due to fencing and banking for spectators. 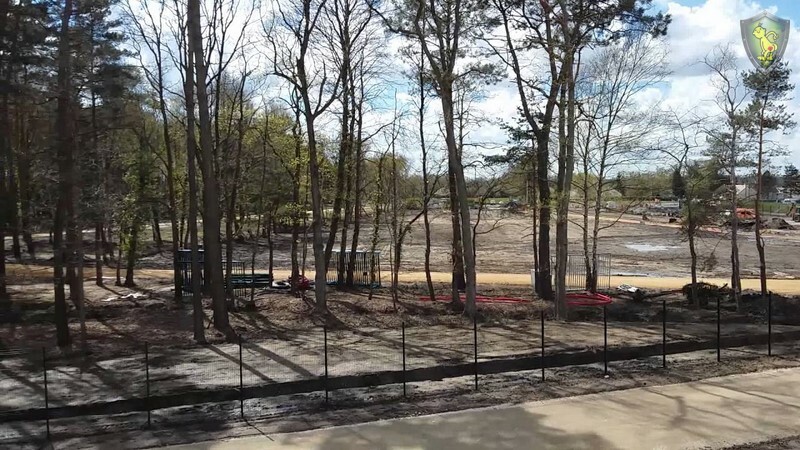 The campsite is large and fenced off and being at most flat throughout. it provides roughly 200 picthes Alterations to the road here has taken a few spots. The ground can be a bit soft in places. 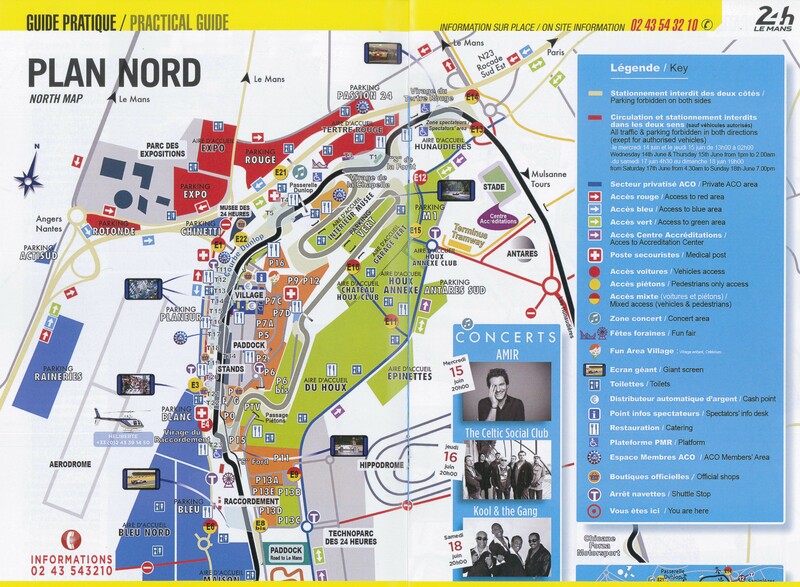 You do need a spectator ticket to get from the campsite to the track side: the standard “Enceinte Generale” works fine but there is also a discounted ticket available that allows spectator entrance to only the Mulsanne and Arnage viewing areas (and not the main village or grandstand areas). limited in its Facilities with there being only 1 tap available near the spectator area. Food and drink wise only the Track side vendors are available so bring your own stuff with you. as they are only open when the cars are actually on track. 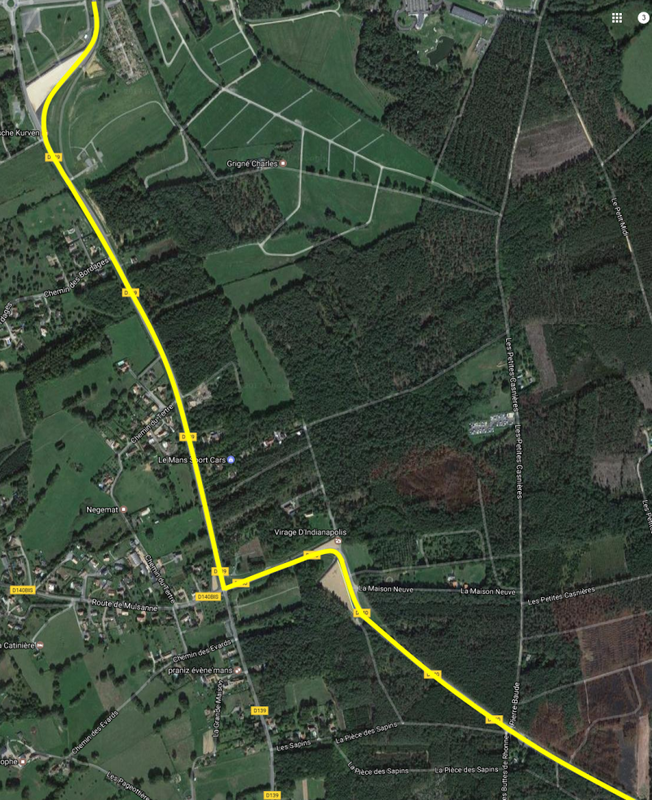 Friday morning sees public road closed by the Gendarmerie to prevent access public part of the track. 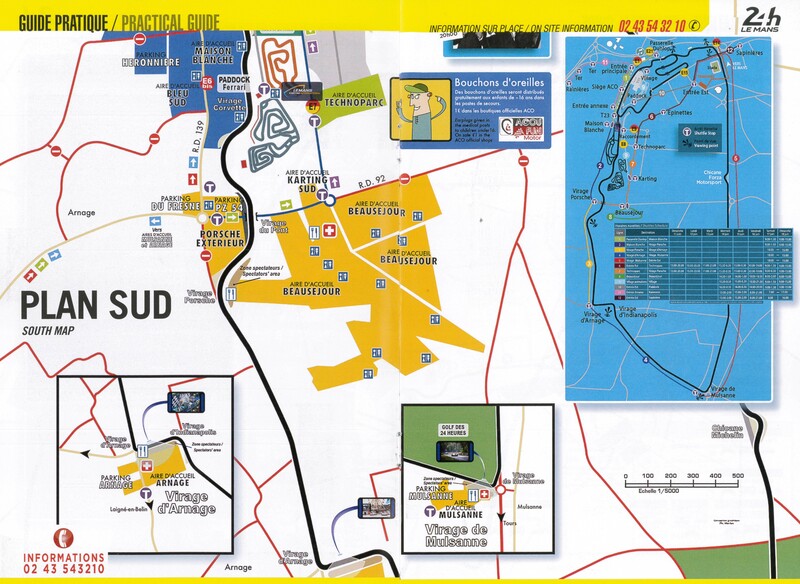 This road in off races periods is ok to navigate but during the race its very very crowded. and the bus stop is located adjacent to the entrance. Campsite has very good toilet and Shower block. we encountered no queues at all. 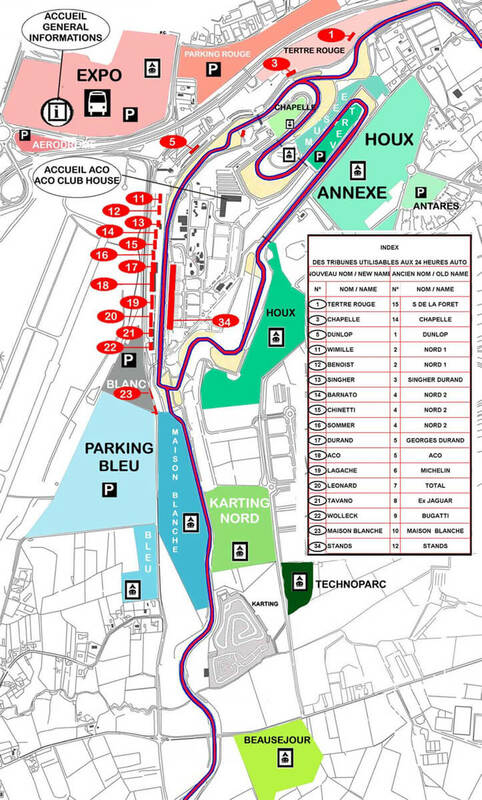 site can be noisey during the race due to its proximity. the camp is not set aside from the fans coming in, so keep your valubles locked up. Site was not full and as such was easy for access and setting up camp. the pitches are marked out with spray paint in a very haphazard way. 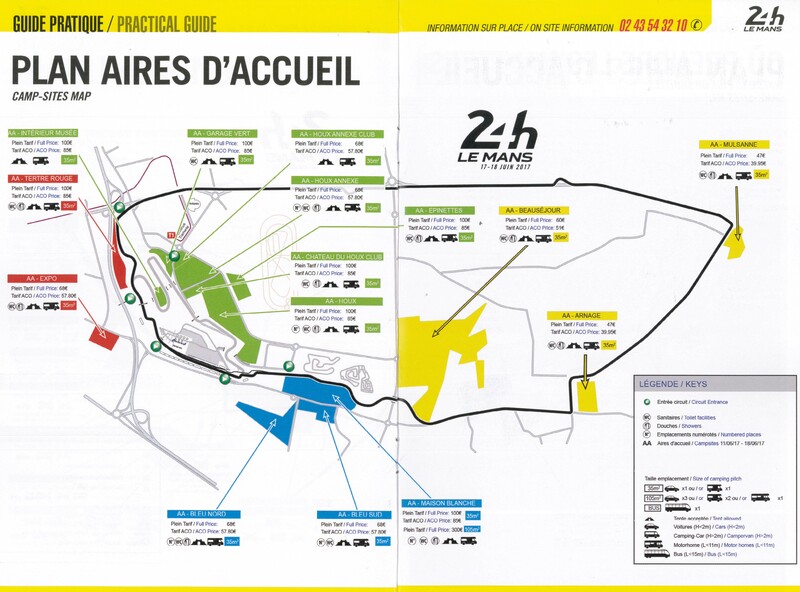 Access to the camp during the race was ok....not much in the way of traffic jams....mainly due to the new layout of the road and new roundabout.